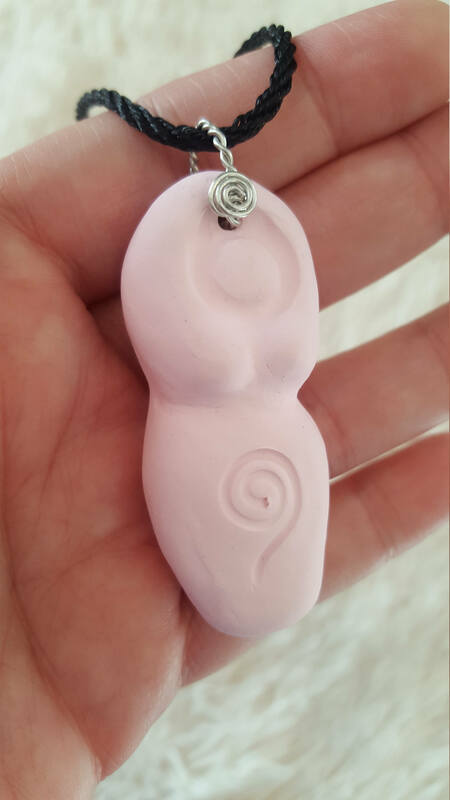 This beautiful pendant represents the Goddess aka the Divine Feminine/ Divine Mother in all her aspects. She is the female aspect of God, Creation, the Universe. She is the Goddess. She is the Mother, the Caretaker, the Healer. She is the embodiment of Fertility, Abundance, Love, Protection, Compassion, and Prosperity. I created the original, then made a mold so I could duplicate her. (Ok several molds, lol. It was a learning experience) Each piece is touched up and spiral stamped by hand. Then, I create the bail and add the necklace/ adjustable cord, and I add a brecciated jasper bead to direct some extra chakra love. You will receive her cleansed and Reiki charged, packaged lovingly in a jewelry box. 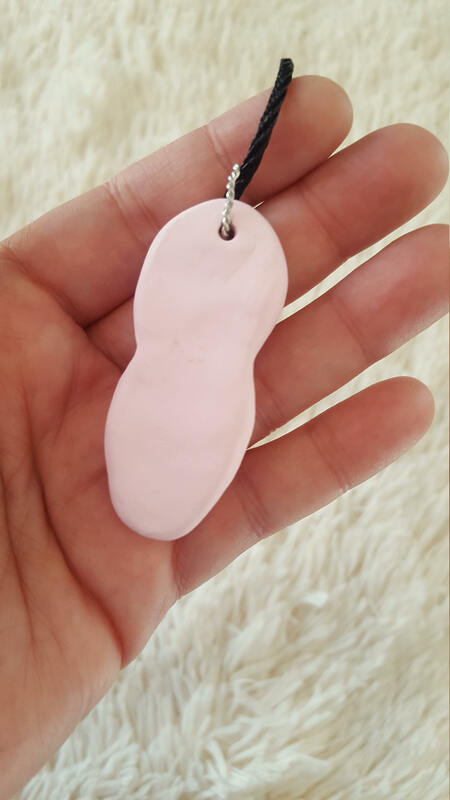 This necklace is in the colors shown.